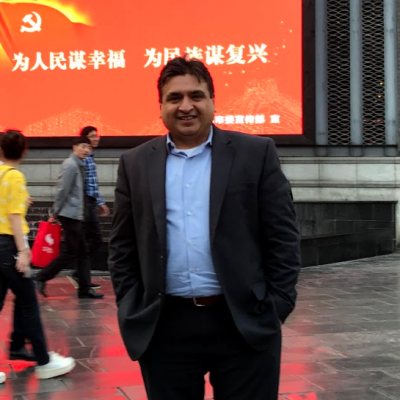 From studying cells, to helping bring cell-altering medicines to patients, Akil Dharamsi (MSc ’98 Biochemistry) is making an impact in the pharmaceutical and healthcare industries. Akil has worked for over ten years at Merck, most recently as Director of Strategic Alliances, forging R&D and clinical development partnerships with universities, companies and governments around the globe, to access innovative technology and develop pharmaceutical solutions to complex health issues. As part of product and clinical developmet teams, Akil has played a role in bringing a dozen new therapeutics to the market, addressing oncology, HIV, hepatitis, HPV, respiratory illness, cardiovascular disease, and diabetes. Akil has over 20 years of experience in business development, licensing, financial analysis and valuation, complex negotiations, drug development and alliance management, dedicated to enhancing biopharmaceutical enterprises, bringing new medicines to patients and a desire for lifelong learning. Attracted to York University by Dr. Barrie Coukell’s work on cell signaling and cancer research, Akil enjoyed the small setting and tight-knit campus community, and the focus on basic science and lab work. Upon completion of his Master’s at York, Akil worked as a bench scientist at Princess Margaret Hospital in Toronto, and then spent six years at a Biotechnology company in Toronto, focusing on licensing and business development and partnerships with companies like Pfizer. Akil credits his success to mentors like Dr. Ron Pearlman, a professor and researcher at York University, who supported him throughout his graduate studies and gave him lab space that helped him found his first company in 2004, BioGenova. Akil’s advice to students is to identify a mentor to bounce ideas with, keep an open mind, and build up a broad variety of experiences and skills sets and don’t worry too much about titles – that will come later. In addition to his MSc from York (’98, Biochemistry), Akil has a BSc in Biology and Chemistry from Linfield College in Oregon (’93) and an MBA in Finance & Supply Chain Management from Rutgers University (’10).